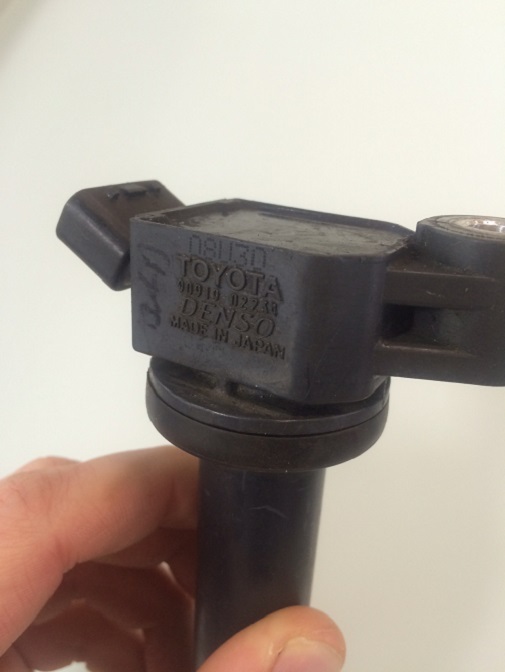 Last July Toyota and Lexus announced a special campaign extending the warranty of the external oil cooler lines on certain vehicles with the 3.5L 2GR V6, including the Sienna, Highlander and Venza as well as the Lexus RX350. 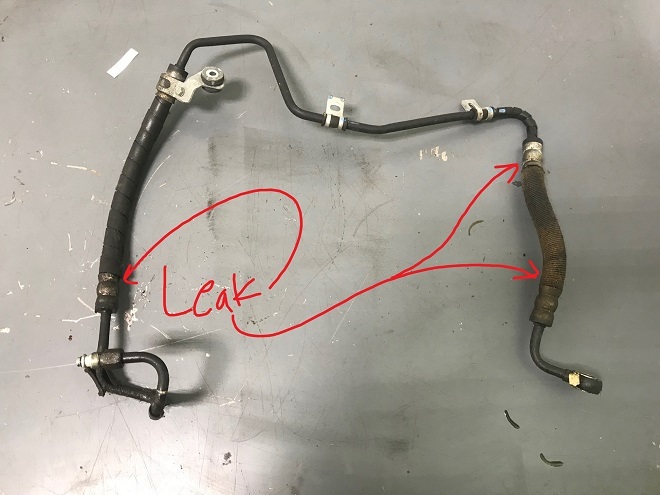 As a Toyota and Lexus repair specialist that sees our fair share of these vehicles (and having a 2010 RX350 in the shop today with the issue), we thought we’d go over what the problem is and what Toyota and Lexus are doing to cover it for their customers. 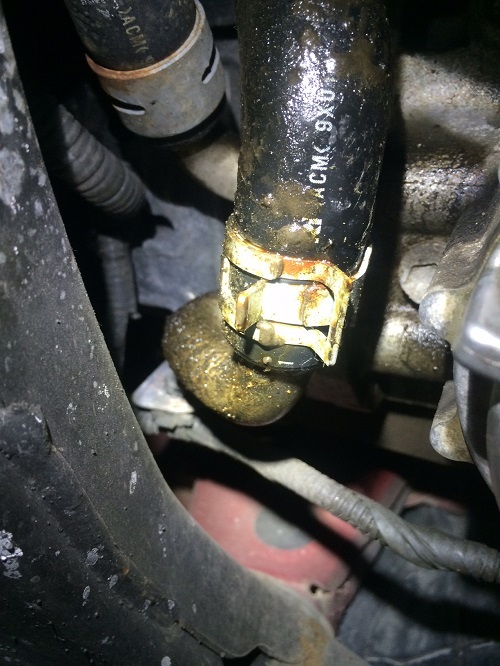 Seen above is the oil cooler line leaking, located just ahead of the oil filter housing. 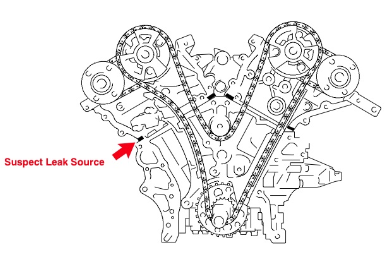 The lines carry high-pressure oil from the upper oil pan to the oil cooler unit. The cooler runs engine coolant in passages surrounding the oil, cooling the oil as it does so. This assembly helps keep oil temperature in check when the engine is under heavy load, helping preserve it’s lubricating qualities by maintaining a stable temperature. The cooler lines are thick reinforced rubber which can fail where they meet the metal fittings at both ends. In rare cases the lines fail entirely, resulting in catastrophic engine damage. Fortunately for all owners, Toyota and Lexus will repair any abnormal seep or leak from the oil cooler lines until January 31st, 2016 with no limit on mileage – a great deal for high-mileage owners. After January 31st 2016, Toyota and Lexus will repair the failure up to 150,000 miles for the next 10 years from the date of first use (AKA the date the vehicle was first delivered to its first owner), whichever comes first. 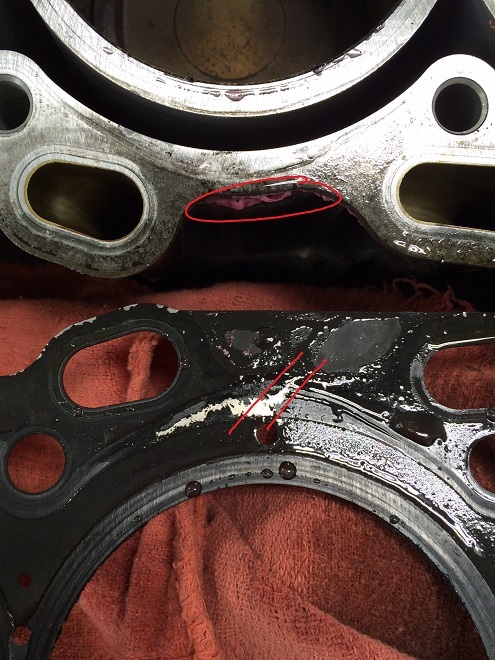 We here at CARspec respect Toyota and Lexus for standing behind the product and offering to repair this failure for their guests even beyond the scope of the normal warranty. CARspec is happy to inspect a guest’s vehicle for the condition so they may have this particular Toyota or Lexus repair performed by the dealership. Your best bet will be your local Toyota dealership.